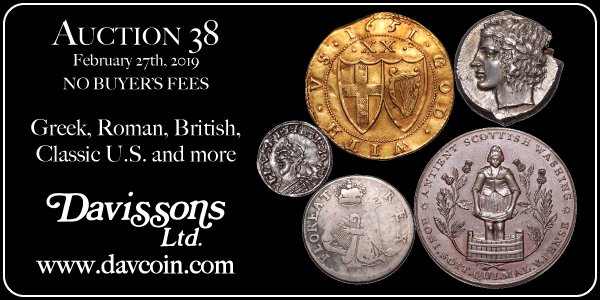 MORE ON DONALD J. LUTES JR.
Lutes' place in numismatic history was cemented at auction when the penny garnered 30 bids and sold well above the pre-auction estimate of $170,000 to a Concord, Mass., collector, according to Heritage Auctions. "This coin, for me, is certainly the 'Holy Grail' of mint errors. Rarely today does a discovery piece come to market, after all these years, still in the possession of the original owner," said David Camire, NGC grading finalizer and a mint error expert, in an article published on the NGC website in August. But for Lutes, his passion for coin collecting seemed to go beyond his moment of steelie fame. In 1957, he joined the Berkshire Coin Club his dedication earned him the first-ever "Life Membership" by the club in 1974. A year later, he began a 40-plus-year avocation with the Berkshire Genealogical Society, forerunner to the Berkshire Family History Association. He served as BFHA president for 32 years, until 2017. But that wasn't all. Lutes' tireless efforts to accurately index more than 1,500 items in the Berkshire Athenaeum's Local History and Genealogy Department earned him everlasting high praise. In 2007, the library renamed its annual volunteer award The Donald L. Lutes Jr. Volunteer of the Year Award. "It was important for Don to be needed. The penny was just a story to him," said Ann-Marie Harris, senior technician/first assistant in the library's local history section. A Berkshire Coin Club member since 1970, Karpenski noted in his eulogy of Lutes, he was a quiet leader. "Don had a unique personality." he said. "He rarely spoke first, but when he did speak, it was the voice of a very intelligent individual." Lutes' grandmother's death in the mid-70s sparked his interest in genealogy. She left him a box of papers and artifacts pertaining to the Lutes family history. As the only child of Donald Sr. and Pauline Lutes, he used those items to trace his lineage back to the state's earliest settlers, the Massachusetts Bay Company, Michael Collins recently wrote in a BFHA newsletter. Lutes personal ancestral journey prompted him to help others chart their past. He later became BFHA president from 1985 to 2017. He was so heavily involved in all aspects of the local history group, it now takes several people to handle the duties he assumed. "We did a lot of head shaking and wondered, `How did he do all this?'" said current BFHA president, Jan Rogge. As well known as Lutes was for his famous penny, genealogical expertise and indexing at the athenaeum, his personal life was a mystery to many. 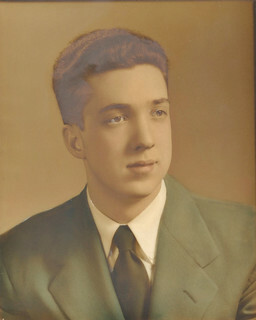 He was born March 1, 1931, and graduated from Babson College in 1951 with a degree in business administration. He then went on to serve as an Army cryptographic specialist with the U.S. Military Advisory Group to South Korea from 1952 to 1954. Upon his Army discharge, the war veteran joined his father's home-based Lutes & Son, manufacturing and marketing religious art products, including memorial statuary with internal lighting. The successful business eventually relocated into a factory on Fourth Street, where it flourished until the late 1970s. He rarely talked about being married to Isabel (Walsh) Parker from 1986 until her death in 1995. Lutes had no living immediate relatives when he died and often kept to himself away from his club/library activities. Lutes was a creature of habit, regularly seen at a Friendly's restaurant in Pittsfield, ordering pancakes and a strawberry sundae. Harris said the athenaeum staff, BFHA and coin club, were Lutes' family. She hopes more people also realize Lutes was more than that guy with a famous penny. "I don't think we'll every find another one like him – one of a kind."